Two men drinking together. Mountain flowers blossom. One cup, one cup, again another cup. I’m drunk, on the edge of sleep – you’d better go. At dawn, if you desire, come back with your guitar. You ask me why I dwell on the emerald mountain. I laugh, without answering, my heart at ease. Peach flowers in the water’s current linger into vanishing. Heaven and earth are different here than in the world of men. Li Po or Li Bai (李白) the Banished Immortal, celebrated Tang Dynasty poet, was born in 701 in present day Kyrgyzstan to Chinese exiles. He achieved great acclaim before his death, despite a life of itinerant wandering. One of the Eight Immortals of Wine, he was a legendary drinker and is said to have drowned drunk in the Yangtze trying to embrace the reflection of the moon. He was returning to his childhood home in Sichuan Province after a thirty-five year absence. He was 61. 琴 "qing" is a zither, not a guitar. 琴 "qin" not "qing" is a traditional Chinese instrument somewhat like a zither, or a bouzouki, or a guimbri. It is however not a zither. It is a qin. For a western reader, it's role as a portable folk instrument places it in the same context as the lyre, the lute, and more contemporaneously the guitar. Five poems from Andrea Kato. Poems from Turkish poet Lâle Müldür in English translations by Donny Smith. Four neo-classical poems from Dawn Corrigan. Our fourth-anniversary special, with seven poems from Sundin Richards. Andrew Haley interviews Sundin Richards. A birthday letter from Zone. Five poems from Richard Cronshey. Five poems from Robert Lietz. Four poems from Ruth Bavetta. Three poems from Anthony Nannetti. And three poems from Peggy Aylsworth. 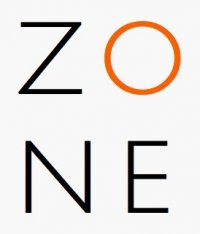 Zone publishes poetry, short fiction and translations in multiple languages. At this time, our editorial capabilities are limited to العربية, Castellano, English, Français & Русский. Please direct all queries to zonemag (at) gmail.com. Please send submissions and other correspondence to our editorial address: zonemag (at) gmail.com. Simultaneous submissions are accepted if notified of publication elsewhere. Allow up to six months for reply.